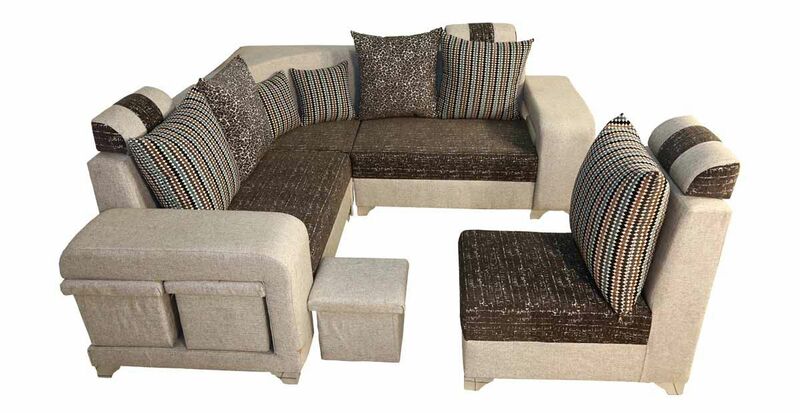 Regardless of whether you get a kick out of the chance to twist up with a blanket and your most recent book, comfortable up with your family for movie evenings or host mixed drink parties with neighbors, you need a large sofa. Regardless of whether you get a kick out of the chance to twist up with a blanket and your most recent book, comfortable up with your family for movie evenings or host mixed drink parties with neighbors, you need a large sofa. 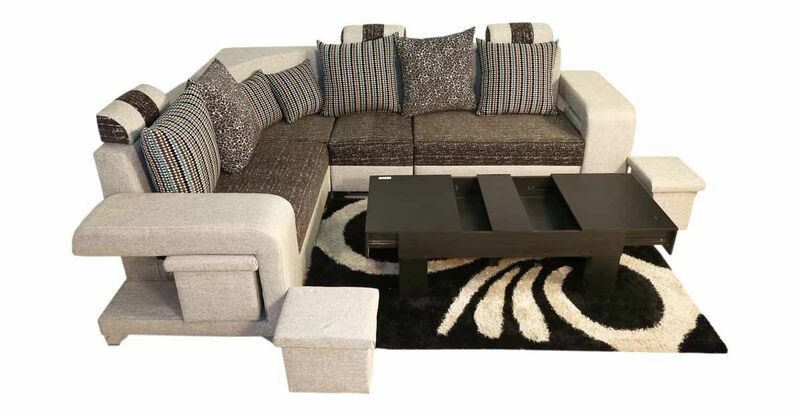 In case need a seating answer for your generally styled space, this sectional couch is the ideal decision for your home. 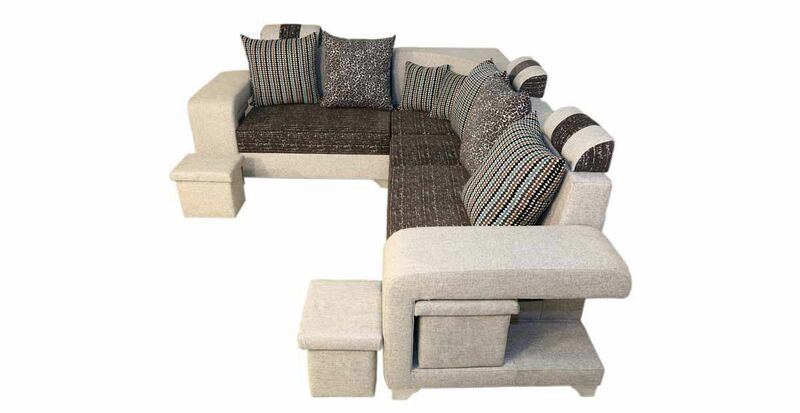 The clean-lined frame and strong conditioned upholstery give flexibility and exemplary style to this piece, while the sectional plan gives seating space to five individuals. 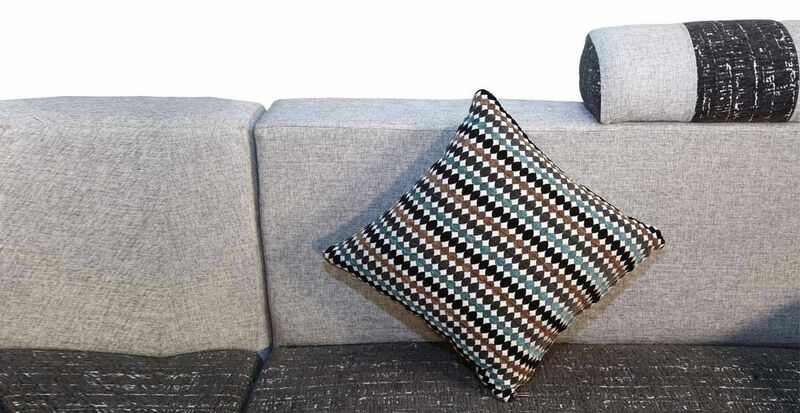 Set it at the focal point of your living room and a few cushions to include welcoming style. 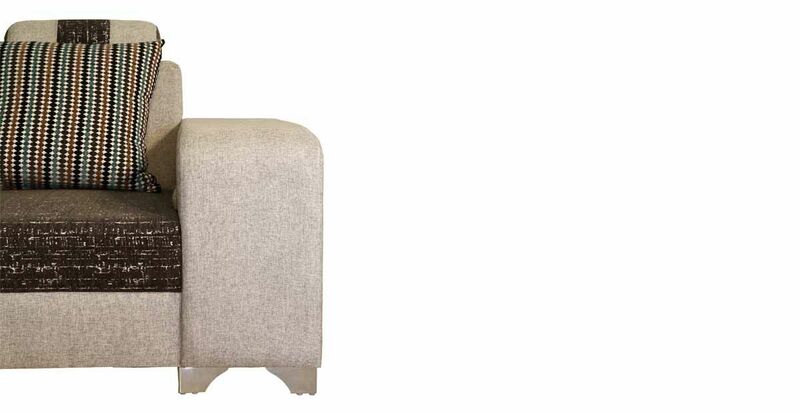 upholstery color : Textured military green, BODY- siliver grey.